Situated in the lush Lenggong Valley, the property includes four archaeological sites in two clusters which span close to two million years, one of the longest records of early man in a single locality, and the oldest outside the African continent. It features open-air and cave sites with Palaeolithic tool workshops, evidence of early technology. The number of sites found in the relatively contained area, suggests the presence of a relatively large, semi-sedentary population with cultural remains from the Palaeolithic, Neolithic and Metal ages. The records are unique in that they constitute the only available evidence of the Malay Sultanate prior to the advent of western-style colonialism. The records have a universal appeal in that they portray the precarious life of a State in transition, straddling between two powers in a world that is fast changing. Originating as they do from the Palace, the highest seat of administration in the state of Kedah in the nineteenth and early twentieth century, the records reflect the unified authority wielded by the Palace in all matters relating to Kedah state administration. The Palace may thus be said to have total influence on all aspects of the life of the people. The influence of the Palace, however is waning, as it is no longer able to control the destiny of the State on account of the need to submit itself to foreign powers far superior in might. The records are therefore useful to research from a number of perspectives, including social change, economics, politics, foreign relations, education, religion and customs. However, the Palace is not able to control the destiny of its own people. The Sejarah Melayu or the Malay Annals are unique in that they constitute the only available account of the history of the Malay Sultanate in the fifteenth and early sixteenth century. They are in the nature of what may be termed as historical literature conveying a historical narration on the origins, evolution and demise of a great Malay maritime empire, with its unique system of government, administration and politics. The Annals have universal appeal as they relate to a major transformation in the lives of the people of the Malay Archipelago from a Hindu-Malay matrix to an Islamic – Malay culture. Being an entrepot port, Melaka made rapid progress on account of its cosmopolitan population comprising merchants from India, China, Arabia, Portugal and various other nations of the world. 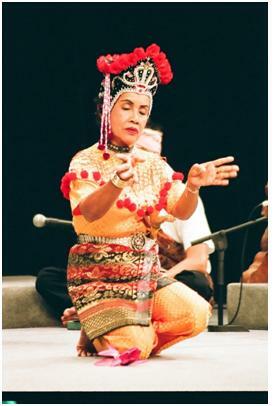 They contributed to the social, economic and political evolution of the Malay Kingdom. The Annals are therefore a vital source of information for scholars in various fields including sociology, anthropology, economics, politics, international relations, linguistics and literature. Hikayat Hang Tuah is regarded as a Malay literary classic and a traditional Malay epic. This folk tale has been proudly recounted to generations of Malays. It is recognised as a national literary classic which is well-known not only amongst the Malays but also to the people in the Malay Archipelago. Much studies have been made on this manuscript by local and foreign researchers. Hang Tuah is characterised as most illustrious Malay hero in Malacca and represented absolute loyalty to the ruler as the ultimate champion of Malay loyalty, chivalry and obedience to tradition. Hikayat Hang Tuah symbolises the greatness of Malacca at that time whilst projecting the bravery of the Malays. The National Library of Malaysia has in its possession two manuscripts of Hikayat Hang Tuah, with identification number MSS 1658 and MSS 1713. The manuscripts are written on old European paper about 200 years ago. Colophon statement is distinctly absent, as is usual in the tradition of Malay manuscripts writing. To this day the author of the hikayat remains unknown. The manuscripts are being preserved in an acid-free box and kept in strong room which is designed according to the accepted standards of preservation requirements. Pengiktirafan diberikan pada 31 Julai 2009. 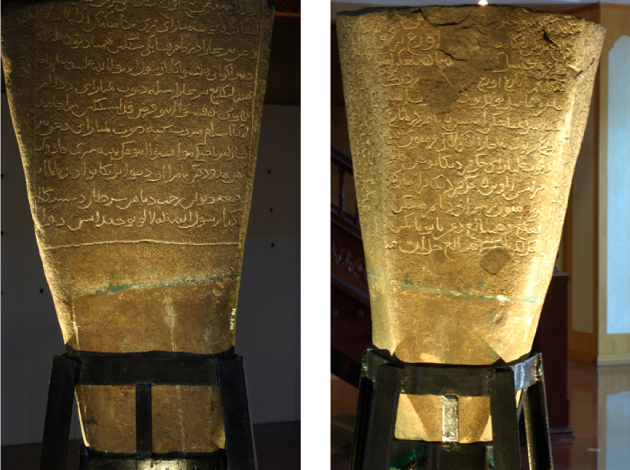 The Batu Bersurat, Terengganu or Inscribed Stone of Terengganu constitutes the earliest evidence of Jawi writing (writing based on Arabic alphabets) in the Malaya Muslim world of Southeast Asia. The Stone is a testimony to the spread of Islam offering an insight to the life of the people of the era as well as depicting the growing Islamic culture subsumed under a set of religious laws.